Scroll down to view all reviews. My crippling fear of the dentist was gone after my first visit, Dr. Lipton is going to be the only person I will let work on my teeth. I could not overlook the professional atmosphere and caring attitude of the staff. Simply the most professional competent team I’ve have ever experienced. I have had extensive treatment completed with Dr. Lipton and his associates and not only was it performed flawlessly but with artistry. The results were beautiful beyond expectation. Forty years of problems have been corrected and I have my life back. – Danica K.
My visit with the hygienist was so enjoyable. It was the best personal interaction I had all week. And to think I started out here as an apprehensive patient! – Robert K.
I started with Dr. Lipton’s dad in dentistry in 1981 until he retired. James was finishing dental school. My daughter was one of his first patients. I’ve since moved over in 1983. James has always been great and he’ll make you laugh with you beautiful teeth! – Norman W.
It was recommended that I at least consult with Dr. Lipton by my neighbor and someone whose opinion was important to me. Also, my dad who had received services in the past from Dr. Lipton, in need of current care, had been sharing his intent to return to his practice. I was able to get in and felt, finally the numerous issues of my mouth were being addressed in a plan that focused on all my concerns and preserving as much as possible, that which could be. I feel that I am on the appropriate course for my total mouth restoration. For this I am grateful. I anticipated the usual, but what I experienced was Unusual. The staff is friendly and very concerned with everyone having a comfortable and positive experience. Dr. Lipton is so kind and sincere. I felt ZERO pain throughout the process. I am no longer anxious about seeing the dentist. My name is Bobby Lee Pompey and I have only been your patient for a short duration of time, but it gives me great pleasure to express my opinion about my experiences with you and your staff. The day I entered your office, I could not overlook the professional atmosphere and caring attitude of the staff under your leadership. It gives me great pleasure, Dr. Lipton, to say that I appreciate the positive attitude, dedication and love that you put into your work. Dr. Lipton, my strongest desire is for you and your staff to continue to serve our community and the individuals within it. I sleep so well. I can feel the difference. My general health feels better. At my first visit with Dr. Lipton, I was a nervous wreck. He reassured me that everything would be fine and I would be pain free. It’s six months later now and I love coming to the dentist. Dr. Lipton and his staff are wonderful and professional. Dr. James Lipton has been my dentist for many years. He is extremely knowledgeable and very gentle. Dr. Lipton and his entire staff are professional, compassionate and accommodating. I would highly recommend him to anyone in need of a great dentist. I feel very fortunate to have chosen Dr. James Lipton as my dentist. He and his staff were compassionate and caring. 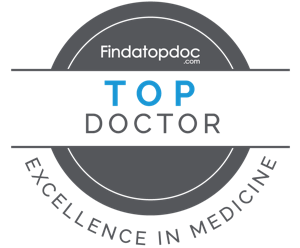 I would recommend Dr. Lipton to anyone who expects great expertise and attention. I love my new teeth!!! My first visit on 6/3/2014 was phenomenal. The aura surrounding the entire staff in the reception area and with the dental assistants was great. Upon meeting Dr. Lipton, I was most relaxed, as he is very knowledgeable and very reassuring to his patients that everything will work out just fine. You have to be relaxed and go with the flow. Every visit was awesome and I left with my spiriting uplifted. As I am going through chemo treatments, these visits have helped me stay focused. This is a 100 star dental practice. I met Dr. Lipton 24 years ago when he was running the Dental PHOBIA Clinic. I was a dental phobia patient with a natural gag reflex. YEARS earlier I was yelled at by a dentist for touching his hand while gagging. I was very scared and nervous. Now I’m relaxed and comfortable during my dental visits. I’m having extensive work done to improve my teeth and gums. Dr. Lipton and his staff will work with you to do whatever it takes to make you feel at ease and comfortable with your dental visits. Believe me, you will not regret choosing Dr. Lipton. My wife had been begging me to go see a dentist for years, but I was apprehensive because it had been so long since my last visit. One day, I found that I had cracked one of my teeth, but I kept it to myself at first. Finally, one morning around 5 am I decided to tell her. She said that now I definitely had to go, but I was still anxious about the whole experience. After my visit with Dr. Lipton though, I don’t see what I was so afraid of in the first place. He solved my problem and made me feel comfortable the entire time. In fact, Dr. Lipton was so great that I’m going to schedule appointments for my wife and kids here, too! I am writing this letter to let you know how comfortable you, your dental assistant, and office staff made me feel on my first trip to your office. It’s unreal, I didn’t think that you could feel that relaxed in a dentist’s office. I remember one question that you asked me: you said, “How do you want your teeth to look?” My response was that, “I like teeth with a little irregularity, not perfectly even.” Your response was that you did, too. It made mfe feel good. Also, your dental assistant is just so easy to be around. She had me smiling without my partial and I didn’t even realize that I was doing it. I had to laugh at myself. Thanks to all of you for being so kind. I will not forget you or my encounter with your staff. I am telling my friends and family and my step-daughter, who is also a dentist. I am taking some cards to give to my family and friends. Thank you for seeing me. I came in for a cavity and I honestly can say there was no pain. None. God sent me an angel. I love, love, love Dr. Lipton. Dr. James Lipton has been my dentist for many years. He is extremely knowledgeable and very gentle. Dr. Lipton and his entire staff are professional, compassionate, and accommodating. I would highly recommend him to anyone in need of a great dentist. A few words say all. Dr. Lipton is awesome, the staff is super. I have enjoyed being a patient. I was always nervous about visiting the dentist because I always associated the dentist with pain. This was the best experience I have ever had. The staff was friendly and helpful, and Dr. Lipton is awesome. No pain whatsoever and it was quick. My first dentist phobia is gone. In January 2013, I needed a root canal. I called Endodontics Incorporated in Merriville and was scheduled with Dr. Robert A. Corns. The procedure was a success. I told Dr. Corns that I was looking for a new dentist and he referred me to Dr. James M. Lipton of Highland. Dr. Lipton is on the faculty of Indiana University School of Dentistry in Indianapolis, educating dentists-to-be. They both know and practice techniques today that may not be available in other dental offices for months, if not years to come. Dr. Lipton has designed a treatment plan for me. He does not just repair for today and hope that it will last for a while. He looks to the future when he does any work on a patient. I have told my friends about these gentlemen. To me, the best ad for someone is word of mouth. These dentists are fantastic. They are in a class all their own. No one needs to travel to Chicago; these dentists are both local and bring worldwide knowledge and practice to us. I believe in fate, angels and miracle. I truly believe that angels were watching over me when they guided me to Dr. Corns, who in turn directed me to Dr. Lipton. Thanks, guys, I will always be grateful. In the early part of 2012 I relocated from the Eastern section of the United States to Indiana. As a new resident in this area I was in need of several medical providers, one being in the arena of dental care. After extensive inquiries I was advised that James M. Lipton DDS would be precisely the dental care providers I was seeking. Upon being convinced of the superb expertise provided by Dr. Lipton and the dental personnel employed by him, I became one of his most current patients. Dr. Lipton and all members of his dental staff have provided me with the superb dental care I was seeking. In my opinion they are the very best. My dental experience with Dr. Lipton has been an amazing and rewarding journey. I have learned to smile; what a dynamic change to my self-image. No one should have this much fun at the dentist. Dr. Lipton and his staff are top shelf. I always like to go there a little early just to visit with his staff. They make their patients feel extremely comfortable. Dr. Lipton’s office is the best experience ever. I treat them well and they treat me well. I love them and they love me. It’s like a match made in dentistry! In my 20+ years, Dr. Lipton has always been a person to take time to explain and make you feel at ease. The staff are helpful and wonderful people. There’s not a time that I would dread going to the dentist. I love them all. I was panic stricken about dentists. Seen Dr. Lipton’s ad and made one of the best decisions in my life. He was honest and very helpful. I can smile now with confidence. I feel relaxed in his office. The help is reassuring and helpful. I had to call him for an emergency and he called me right back – he was in L.A. and had a solution for the problem. I have been a patient of Dr. Lipton since August of 2004. During my frequent appointments in almost a decade, Dr. Lipton always greeted me with a friendly smile, extremely gentle, a very good listener, answers to all my questions patiently and makes it simple to understand, caring, detail oriented and perfectionist, tries his best to save my teeth and educate me to keep my teeth healthy. Dr. Lipton has almost thirty years of experience; he is a professor in various universities, loves what he does for a living and has a state of the art facility. Dr. Lipton has such friendly and knowledgeable staffs that have been enjoying working with him for many years. It is so comforting to see the same friendly faces which are rare, now a day. I consider myself blessed and lucky to have Dr. Lipton as my dentist for the last nine years. I highly recommend choosing Dr. Lipton as your dentist for many years to come. He tries so hard to the best of his ability to comfort patients, especially the difficult and nervous ones, like me. I thank Dr. Lipton for dedicating his life to serve patients. As a patient of Dr. Lipton’s for over 11 years, I can honestly say my experience has been excellent, and his staff matches that. From the first appointment of extreme fear, to practically fearless now. His professionalism, quality of work and care are wonderful. A new patient would not be sorry! Keep up the great work! My first visit with Dr. Lipton, I was a nervous wreck. He reassured me that everything would be fine and I would be pain free. It’s six months later now, and I love coming to the dentist. Dr. Lipton and his staff are wonderful and professional! I have been going to Dr. Lipton for a few years now, I would not even think about going to someone else. The whole office staff is very nice, kind, and they all care about you. Dr. Lipton is very gentle, if you need to get numb, you do not feel the shot. If you are afraid like I was, go see Dr. Lipton, you will see what I am talking about. I’m a very apprehensive patient. Dr. Lipton made me very comfortable and at ease. I would recommend him to anyone that has issues with going to a dentist. Dr. Lipton and his entire staff are great, no pain ever. Very friendly and courteous. I love all of them; excellent work. The first time I met Dr. Lipton was back in the late 80’s. I had gone in to his office with a swollen cheek. As it turned out I had an abscessed tooth. He explained what needed to be done but the swelling had to go down first. the next day while I was at work I got a phone call from him personally just to ask me how I was feeling and was I in any pain. I was shocked that he would take the time to call me. Dr. Lipton and his entire staff are always so pleasant and always smiling and they put you at such ease that you calm down immediately (if you are nervous) and that makes your visit so nice and relaxing. It is such a pleasure to have a doctor and his staff treat you so well and actually show how they care for their patients. I highly recommend Dr. Lipton’s dental practice. I recently moved to the area and required major dental reconstruction. This included root canals, dental implants and multiple crowns. My experience with Dr. Lipton and his wonderful staff was truly exceptional. They focus on patient comfort and highest quality techniques. My resulting reconstruction is fabulous! I used to be terrified of dentists. I hadn’t gone in 10 years but I lost a filling and had to go. I found Dr. Lipton by just browsing the phone book and saw he worked with fearful patients. I made an appointment and now I can fall asleep in the chair. Since becoming a patient of Dr. Lipton’s, I can say for the first time in my life that I actually look forward to my trip to the dentist. It’s almost like visiting friends and the dentistry is just a side effect of my visit. I have referred other people in the family who also feel the same way. Dr. Lipton is so caring and concerned about his patients it makes it so easy to trust him. “Dr. Lipton has consistently been at the forefront of dentistry since his graduation from Indiana University in 1982” says his nominator Dr. Gene Ranieri, Highland IND., an honorary alumnus of the IU School of Dentistry. Dr. Lipton’s pioneering efforts over the past generation have been in the area of patient care for Hoosiers who have great difficulty maintaining their oral health because of medical challenges, severe disabilities, or a debilitating fear of seeking dental treatment. “He started the only interdisciplinary hospital dental program in Indiana for medically compromised and severely handicapped patients, thereby allowing these special underserved patients access to care that previously was not available at the level of care” says Dr. Ramieri. Dr. Lipton, a private pracitioner Highland, has pursued a variety of educational programs throughout his career to provide the best possible care to both this private practice patients and those he cares for in hospital settings. He completed the L.D Pankey Institute Continuum in 1997 and the American Dental Association-sponsored executive management program at Northwestern University’s Kellog School of Management in 2005. He is a diplomat of the American Board of Dental Sleep Medicine. Dr. Lipton first began working with hospitalized patients in the mid-1980’s, when he was named medical director of the Indiana Dental Care Center at Our Lady of Mercy Hospital in Dyer and Hobart, Ind. He has long been affiliated with St. Margaret Mercy hospital in Dyer and Hammond, Ind., and with Community and Heartland Memorial hospitals in Munster. One of the finest decisions a successful and caring member of the dental profession can make in his or her career is to focus attention on the future vigor of that profession, and Dr. Lipton is doing just that. In September 2009 he accepted an appointment as an adjunct instructor through the IU dental school’s Department of Restorative Dentistry that is allowing him to present fourth-year dental students with an elective course. Working with a team of dentists from north-west Indiana, Dr. Liipton offers students a multidisciplinary treatment planning workshop through the school’s extra-mural program. Everyone is great, and treat you like you’re family. I will recommend to everyone. Thanks for everything! I am 28 years old and I only have 18 teeth left. I have been traumatized by previous dental work and five failed root canals. Dr. Lipton and his staff are the most professional, caring, honest, gentle dental group I have ever been with. I am so thankful for them and their dedication to ensuring that dental health procedures are not painful, scary, or traumatic. Thank you all so much for what you do every day. If you are in need of a great dental experience, Dr. Lipton is your man. People make the difference. The people here are wonderful. I believe that the service is connected with the people. People, difference, service. Difference, people, service—any way you put it, it comes out wonderful. My experience with Dr. Lipton has been far more superior than any dentist I have ever had. There has been no pain during any procedure necessary. I recommend him highly, and actually enjoy attending my appointments knowing the end results will be successful. Awesome. Dr. Lipton really cares about my concerns. The staff and Dr. Lipton work very hard to make sure that the patient is completely satisfied, and when I leave Dr. Lipton’s office, I am a happy camper. My dental experience has indeed been a challenge. Dr. Lipton has transformed my mouth from what it was to an artful display of dental beauty. I am deeply appreciative of his dental expertise. Dr. Lipton saved my life. I was so fearful and had such phobia of dentist that I could not even watch a toothpaste commercial. I would get up and leave the room. When I made the phone call, the girl who answered the phone was so comforting I felt like I didn’t have to hang up on her. Dr. Lipton went out of his way to meet with me that same day. When I got there, he put my fears to ease immediately. He made me feel like I was his only concern. The biggest change for me is that when I look back on photographs, I am smiling, whereas prior to surgery, I never smiled and always covered my mouth with my hands. Dr. Lipton gave me back my smile. Thank you, Dr. Lipton, from the bottom of my heart! You gave me a new life. Just remembering what I was and went through to now brings tears to my eyes. Over 15 years ago, I knew I desperately needed to see a dentist. I hadn’t been to one for almost 20 years due to my severe case of dental phobia. While reading the newspaper one day, I saw an ad for Dr. James Lipton and it stressed that his specialty was patients with dental phobias. I got the courage to set up an appointment to see him. He examined my mouth, then explained all the work that needed to be done. I was still anxious about it, but he reassured me everything would be done in one day, and I wouldn’t feel anything. It was in an operating room setting. I had gum disease which he cleared up, as well as other work that needed to be done on my teeth. I am so glad I went to him and had this done. Now I see him every three months and am diligent about my oral health care. I wouldn’t go to any other dentist, and I’ve recommended him to other people. My fear of dentists was so severe that I avoided them completely for over a decade. My mouth was a complete mess. On my initial visit, the first thing I noticed was how gentle his touch was as he examined me. He calms your fears by letting you know exactly what is going to happen and how long the procedure will last. If he says, “this will only take one more minute,” I can count 60 seconds in my head, and he is done. It took some time and repeated visits to conquer my longstanding fears, but sixteen years later, Dr. Lipton and all my own teeth are still with me! P.S. The staff are outstanding at remembering what they can do to make you the most comfortable, and your visit as stress free as possible, right down to which flavor of fluoride rinse you prefer. 10 hours surgery to begin the road back to a healthy mouth!! Three years ago, I walked into Dr. Lipton’s office knowing that I needed a lot of work done; while being terrified of dental procedures. When I informed him of this, he suggested that I have the bulk of the work done in a hospital setting and with a general anesthetic. I readily agreed, and arrangements were made at a surgery center. Even though I was still apprehensive, it turned out to be a very comfortable and reasonably pleasant experience. Dr. Lipton and his staff and the surgery center’s staff were all kind caring professionals. Most of my work was accomplished in a few hours. I would recommend this to anyone like me who has a phobia of dental work. To all those with a fear of going to the dentist: Please Read! I was the worst dental patient, because of a dentist that yelled at me at an early age. He yelled at me because I had a severe gagging problem. I did not go to the dentist for at least ten years after that. I felt that no one understood my problem – no one! In 1990, I heard about the Dental Fear & Phobia Center located in Indiana. I realized if I was going to save my teeth, I better give them a call. They assured me that they understood what I was going through. I made an appointment. After 16 ½ years, I’m still a patient. In 1999, I fell and did a lot of damage to my teeth. I had extensive trauma to my anterior teeth which resulted in several visits to Dr. Lipton to determine a definitive treatment plan. My initial visits resulted in setting my mind at ease regarding the pain I had always associated with dental care. Dr. Lipton took time with me and patiently brought me out of my fears. The treatment plan he devised was fully explained to me and included assurance that I was not the gagger I had been diagnosed as being in addition to setting my mind so much at ease that I no longer dread dental care. I have regular check ups and actually feel healthier as an added result of proper care of my teeth. Anyone with dental fears of any kind can rely on the office staff, hygienists, and Dr. Lipton to set one’s mind at ease. I know-I was one of the worst cases of dental phobia. If you live in Northwest Indiana you are fortunate because you have access to Dr. James Lipton, who in my opinion is an exceptional dentist. The highest quality dental service as well as patient care and compassion are what will be found in Dr. Lipton’s office. He is an extremely skilled dentist and very conscientious about all dental procedures he performs making certain all his work is perfect and acceptable before he releases his patient. He has a wonderful well trained and qualified staff that is always eager to please and assist with all the patients needs. Each and every patient is treated as if he or she is very special. Patient comfort is a priority in Dr. Lipton’s office. If you come in feeling nervous and apprehensive I know when you leave you will be feeling just the opposite. Every visit for me has been more like a visit to a friend’s house than a dreaded trip to the dentist office. I actually look forward to my dental appointments to visit my friends. Thank you Dr. Lipton. I have the happiest teeth in town! The best thing I did was to have Dr. Lipton take care of my needs. I wanted an upper denture because my teeth were in rough shape. Dr. Lipton agreed and a plan of care was mapped. I have never used any product to hold my denture in place. I have never had any discomfort since i got my denture. I can eat, drink and talk normally. The denture gives me my smile back – no pain keeps me smiling. Thanks to Dr. Lipton and his wonderful caring staff. The office staff is so helpful and pleasant. This has been a very good experience for me. Dr. Lipton is a talented and very pleasant dentist. I was treated with respect and my new dentures with implants feel wonderful. Excellent work by Dr. Lipton. No pain. He understands patients needs and vulnerability. The office staff is efficient and delightful! My name was Chicken Biggie! I gave myself this name over 40 years ago. I hated to think about going to the dentist because my secret fear of them would be exposed. I, Chicken Biggie, had to go to my family doctor to get a tranquilizer before going for a dental appointment. My husband told me I wouldn’t have the same experience with Dr. Lipton. Of course, I didn’t believe him, but my tooth was hurting too much not to go. I went for my first appointment (for the first time without a tranquilizer), Dr. Lipton worked on me, and I didn’t have a need for pain medication when I left his office. He’s hired the nicest, the friendliest, as well the most professional people anyone could find to staff his office. In fact, everyone was so friendly that I couldn’t believe it myself. So I decided to come back and get some other necessary things done. That’s why I signed up for more dental work. I wanted to be treated in that atmosphere. • Dr. Lipton isn’t just a dentist. He’s concerned about his patients and other health problems they have. He helped me by finding me someone to help with a problem not related to dentistry. This is highly appreciated because he did it for me without me asking him to find someone for me. • Dr. Lipton himself called me on the weekend with a follow-up call about my health (I haven’t had a call from any doctor to check up on my health since the sixties). • Dr. Lipton’s staff called several times to ask about my husband during his hospital stay. This gave him encouragement. There’s more, but I would have to write a book about them. This is the treatment I wish I could get at any doctors office. I no longer fear going to the dentist (as long as it’s Dr. Lipton). I’ve stopped calling myself Chicken Biggie. So if you want to experience the feeling of being at home while you’re getting dental treatment… Call Dr. Lipton. At my first appointment I was embarrassed at the condition of my mouth but was immediately put at ease. The staff and Dr. Lipton were OUTSTANDING! I really felt that I have a new lease on life. My sincere gratitude, I can smile again! From the moment I stepped into the office, I was treated with kindness. I felt in complete comfort. Dr. Lipton took time to explain everything. He’s concerned for each of his patients. I’ve just moved here and feel confident in continuing to be a patient of Dr. Lipton and his great staff. More than happy with the excellence evident in this practice—the dentistry is exceptional; the staff professional—overall, my experience has been great! My “teeth” have never looked better. Let’s start with a great staff, a well-run office—everyone is pleasant. Dr. Lipton explains every procedure thoroughly and listens to the patient too. I feel confident that I will be smiling more often. My new dentures are really natural and beautiful looking. Thank you, Dr. Lipton, for a pleasant experience. I am truly grateful. Dr. Lipton is the most gentle, patient dentist that I have ever been to. I have been to several dentists throughout my life and I must say that he is absolutely the best! I am no longer afraid to have my dental work done. He and his staff go out of their way to make you feel calm and comfortable. I would recommend his office to any patient who has dental fears or phobias. The office staff is very friendly and really get to know their patients! I couldn’t ask for a better dentist! I will NEVER need dentures with Dr. Lipton and his support staff. Thank you, Dr. Lipton! When I went to see Dr. Lipton for the first time I had a mouth full of problems which included cavities, missing teeth, and poor quality work done by other dentists. Dr. Lipton did a full evaluation and we discussed my options and prices. From root canals to dental implants there were no surprises. I can finally say for once in my life I have a full set of good teeth and it was done painlessly and in a short period of time. He took great care to evaluate my smile after each procedure. Even when I thought I wanted to just take a more non-invasive procedure, he assured me I would be happier with the plan he was presenting and I certainly am grateful to him and his staff for that support. His staff does an awesome job of coordinating all the procedures, insurance and payments and most of all making you feel comfortable with any doubts or apprehensions I had. Overall, I had a great experience and would highly recommend Dr. Lipton and his staff to anyone. Dr. Lipton is a very good dentist. When I came to see him the first time, my teeth were rotten. He fixed my mouth to where I could smile again. I’ll be forever thankful.